The mold that forms on and around your home’s windows is typically the result of prolonged exposure to condensation. There are a number of things that can cause mold on your windowsills, including plumbing leaks, humid outside air making its way into your home and even steam from cooking or showering, especially if airflow is inadequate. 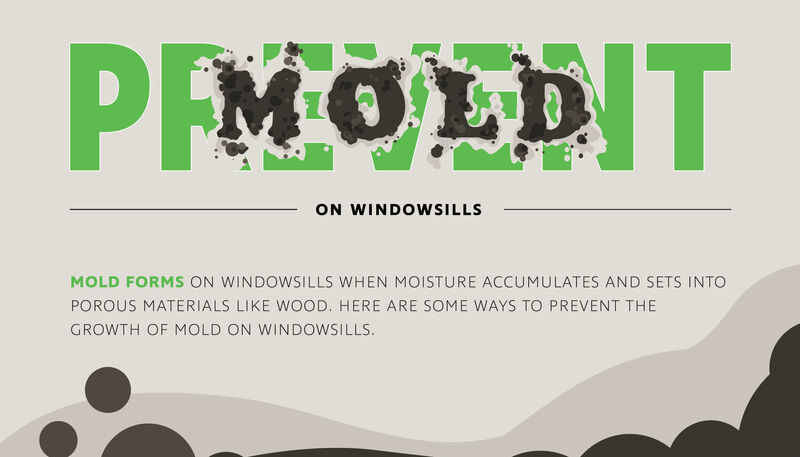 If left unaddressed, mold can not only affect the appearance, lifespan and structural integrity of your windows. It can also be hazardous to you and your family’s health. If you allow mold to continue accumulating, it can eventually cause wooden sills (both painted and stained) to rot and drastically deteriorate. As such, it’s important to know how to tell if you have mold growth, how to safely remove it and prevent it from returning in the future. It can be quite tricky to tell if you have mold growing on your windows, as it typically grows in the hard-to-see area along the joint between the window sash frame and the bottom edge of the window glass. 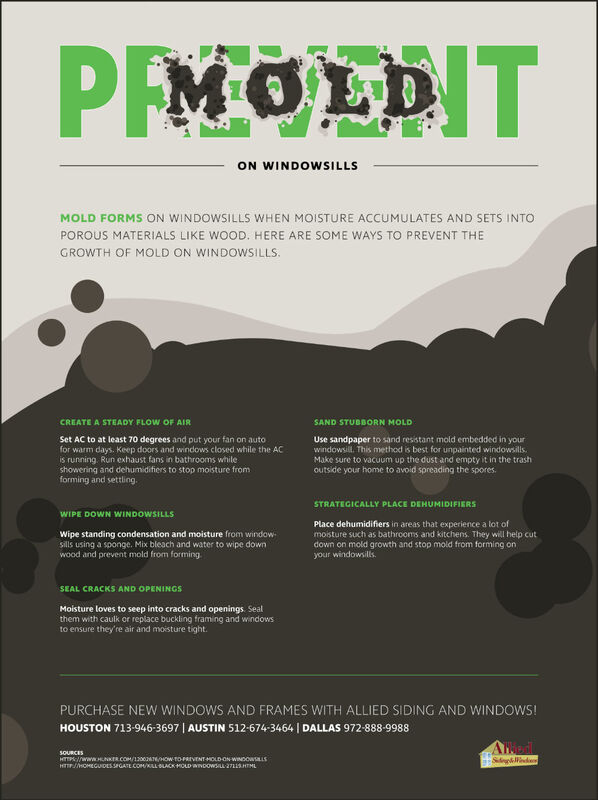 Depending on the color of your windows, the mold can even blend in, making it camouflaged to most homeowners’ untrained eyes. That said, it’s always best to play it safe and have mold remediation specialists inspect your home, test the mold (if necessary) and make sure it hasn’t contaminated any other areas of your home. While it is possible to remove mold yourself, we at Allied Windows and Siding always recommend you call on professionals who have the know-how, tools and personal protective equipment necessary to ensure a safe, thorough removal. Professionals have the equipment and knowledge to significantly reduce the risk of mold spores being circulated throughout your home during the cleaning process. If mold has ruined or compromised the appearance or functionality of your windowsills in any way, the first thing you should do is contact a reputable mold removal company to ensure all signs of mold have been effectively eliminated. Once that essential step is completed, you can turn to Allied Siding and Windows for durable, affordable and energy-efficient replacement windows from Andersen, Simonton and Don Young. Our courteous, professional siding and window replacement experts have installed more replacement windows than any other company in the great state of Texas, and we’d love to improve the beauty, resale value and overall health of your home with award-winning window products that will serve your family well for years to come. To speak with one of our friendly team members about your window replacement needs, visit one of our three conveniently located showrooms in Houston, Austin and Dallas, or contact us online for a free estimate!